A comprehensive assessment platform, that is easy to use and customizable. 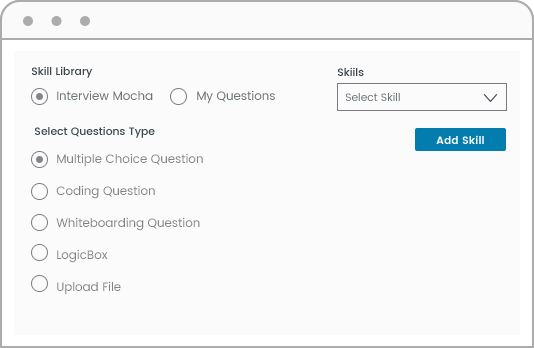 Bring freshness to your skill assessment tests by using innovative question types like LogicBox, Customer Excellence Framework, Coding Simulator, File Upload, and Audio/Video questions. Besides these, we have MCQs (Multiple choice questions), MAQs (Multiple answer questions), Fill in the blanks, True or false, Descriptive questions, etc. Using our recruitment assessment tools, enjoy the flexibility to create a test to suit your requirements by selecting the test duration, no. of questions, and the questions as well. 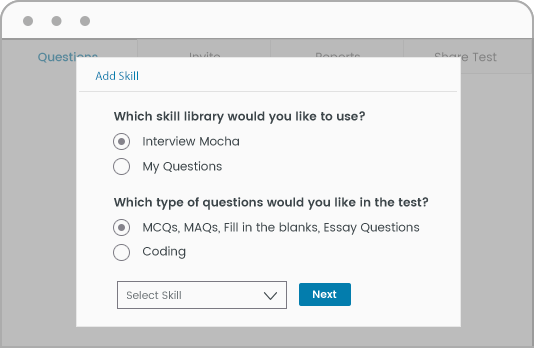 You can create a test with Mocha questions, your own questions, or simply a combination of both. Set up the test in alignment with your requirements. 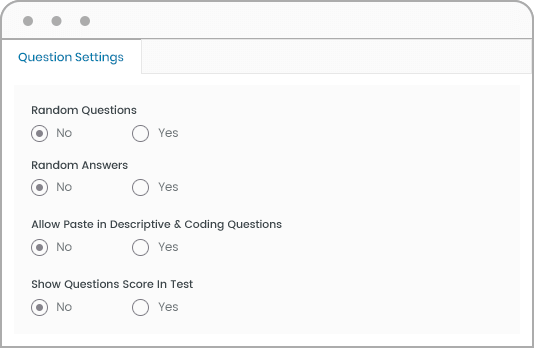 Edit the test name, select - test type, cut off percentage, question settings, message settings, and more. Your tests can be shared with teammates as well. Create test links for each test and select your invitation options. 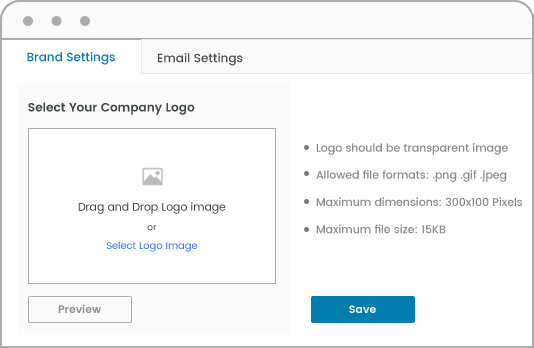 For campus and bulk hiring, you can use Open link URL - which is a shareable link and can be attempted by anyone who gets it. 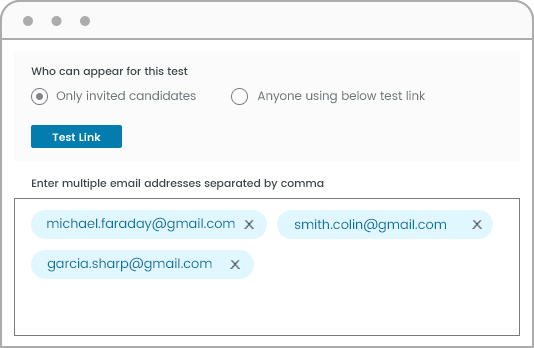 For other hirings, you can use Invite only - which means only the candidates invited through email for the test can attempt it.